Action Congress of Nigeria holds its 2nd National Town Hall Meeting in Kano State Nigeria. 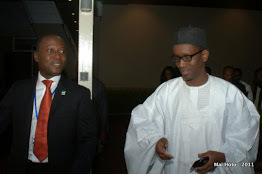 It is an evening with the ACN Presidential Candidate Mallam Nuhu Ribadu and the ACN Vice Presidential Candidate, Chief Fola Adeola. By the 2011 presidential elections in Nigeria, town hall meetings had become a popular feature of the American political system. They were used by candidates and elected officials to interact with voters in intimate settings. Skilled politicians staged regular town hall meetings to communicate effectively and win the hearts and minds of undecided voters. The inherent power of town hall meetings was demonstrated by then presidential candidate Bill Clinton during the 1992 presidential campaign. Despite the fact that the Nigerian political system was largely modeled after the American system, town hall meetings were not a regular feature in the toolkit of the average Nigerian political campaign as of 2011. Action Congress of Nigeria (ACN), one of the political parties contesting the 2011 Presidential Elections in Nigeria, needed to introduce its Presidential and Vice-Presidential candidates to the youth population. ACN had chosen two non-politicians, Nuhu Ribadu and Fola Adeola, as its presidential and vice-presidential candidates. Ribadu was a former head of the Economic and Financial Crimes Commission (EFCC) and Adeola was a former Managing Director of GTBank Plc. While they both had high name recognition, neither had ever run for public office. We recommended a town hall meeting as a way to introduce them in an intimate setting where they could answer questions and present their manifesto to the public. We included the popular Governor of Lagos, Mr Babatunde Fashola, on the Lagos Town Hall panel as a critical endorser of the presidential ticket. 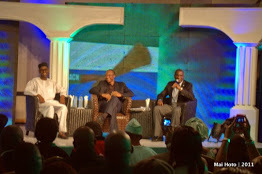 We staged televised interactive town hall meetings in Lagos and Kano. The two programmes were broadcast in primetime on national television and recorded high ratings. The main challenges encountered were a tight timeline, lack of adequate funding and security challenges in Kano Township which almost prevented the event from taking place there.